Following a few smart summer energy saving tips can reduce your energy costs and your environmental impact. Saving money means you have additional resources available to reinvest in your home. It is easier than you may think to conserve energy at home with these 11 energy saving tips for summer. As the weather heats up, don’t let your energy bill represent another reason to sweat. Summer is just around the corner, and we’re ready with some seriously effective energy saving tips to help keep you and your wallet cool. Whether you are looking for energy saving tips for apartments or homes, you can take simple steps to conserve energy at home. Do You Want To Conserve Energy This Summer? As savvy and responsible homeowners (or renters) we are always looking for ways to conserve energy, and it may be easier than you think. When you commit to energy efficiency in the summertime, you can keep cool while making smart choices about your power usage. When you consider ways to conserve energy at home, taking simple, consistent action can lead to real savings over time. You will have extra cash in your pocket, which you can then use to reinvest into your property to increase its value, to help fund your next real estate deal, or to spend time doing what you love with who you love — the things every entrepreneur is ultimately working toward. In addition to the freedom that the financial benefits can offer, following a few summer energy saving tips can have a profound impact on the environment. Reducing your carbon footprint means a better world for you, your family, your neighborhood and future generations. Who wouldn’t want those positive karma points? One of the best things about these home energy saving tips is that you can begin saving energy right away, with little effort on your part. Being mindful about your power usage is a great step toward a greener lifestyle, and a fuller wallet. Outdoor Cooking. As it turns out, summer is a great time to get outdoors and fire up the barbecue. Cooking outdoors is a great way to avoid adding extra heat to your home. Try grilling meats, roasting vegetables and even cooking rice or other grains on the BBQ rather than firing up the oven this summer. LED Bulbs. Replacing your incandescent bulbs with LED bulbs is a quick and easy way to make an immediate impact on your energy bill. Incandescent bulbs are highly inefficient: approximately 90% of the energy they use actually produces heat, not light, according to SmartEnergy. LED bulbs are much cooler, use 75% less energy and last 50 times longer, saving you lots of money, time and the headache of replacing your bulbs in the long run. Cold Water Wash. Try washing your laundry in cool water, as opposed to the hot setting we have all grown so familiar with. Ninety percent of the energy that your washing machine uses goes toward heating the water. Therefore, it’s safe to assume choosing a colder cycle rather than a hot one can save you a significant amount of electricity (the same sentiment can be applied to your dishwasher, too). Air Dried Laundry. Whenever you have a chance, try to air dry both your laundry and dishes. Take advantage of the warmer summer weather and dry your clothes on a clothesline or a drying rack. Skip the heated dry cycle on your dishwasher and let your dishes air dry or dry them by hand. Avoiding the use of heat-generating appliances when you can will save you energy and will help keep your home cooler. Air Conditioning Efficiency. Keep your AC running efficiently. Regular maintenance of your home’s air conditioning unit ensures it is cooling as efficiently as possible. Have your AC professionally serviced, and clean and replace your filters regularly to get the most out of your cooling system. Water Heater Optimization. Take a minute to lower the temperature your water heater stores water at, preferably at 120 degrees. Many households make the mistake of overheating their water. Think about it: if you ever turn your sink on to its hottest setting and can’t run your hand under the water, it’s too hot and you’ve wasted the energy it took to get it to an unnecessary point. Set your water heater to 120 degrees (sufficient for most households). You can save 3 – 5% on your water heating costs by reducing your temperature setting by just 10 degrees. Duel Paned Windows. Strategically open, close and cover your windows. It just takes a few minutes and a little forethought to implement this powerful energy saving tip. Sunlight coming through your windows can drastically heat your home, so keeping windows covered during the hottest parts of the day can help keep your home nice and cool. Once the heat of the day has passed, open your windows to let the evening air in, and then close them in the morning to trap that air for the following day. If you are thinking more long-term, you can also invest in strategically shady landscaping. Greenery. Plant trees around your house to simultaneously increase curb appeal and lower your utility bill. 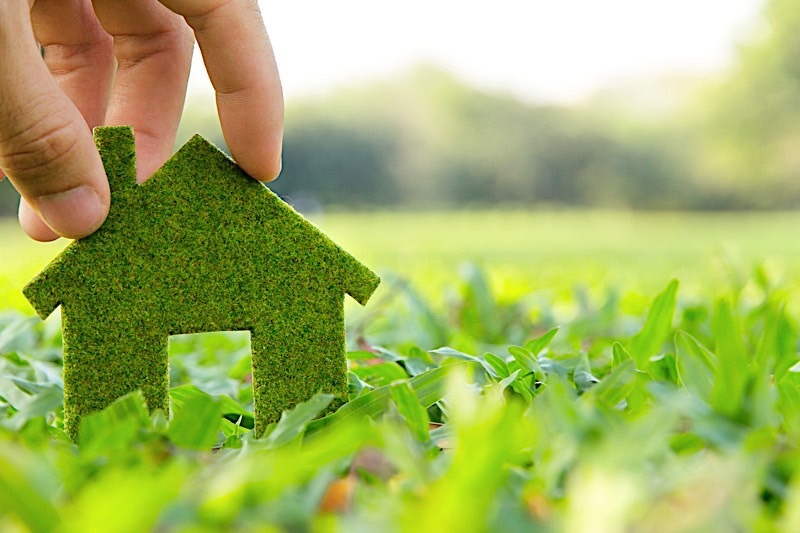 If you are planning for the long-term, planting trees around your home can significantly reduce your energy usage. By planting a tree on the west side of your home, you can reduce your energy bill by 3% in five years, and in 15 years, your savings can reach nearly 12%. Additionally, any trees you add will increase the value and curb appeal of your home over time. Interior Doors. Keep your interior doors open to create a draft funnel. Keeping your interior doors open during the warmer months will encourage airflow, making your home feel cooler. Stagnant air can feel four degrees warmer than air that is flowing, meaning that you can increase the temperature setting on your thermostat and maintain the same level of comfort. Pool Cover. If you have a pool, keep it covered. Covering your pool can significantly reduce (or even eliminate) heating costs. A good cover will keep your pool 10 degrees warmer, on average. Pools require a lot of maintenance, which means they are big contributors to your energy bill. Simply keeping a pool warm can increase a home’s bill exponentially, so take the preemptive approach and add a cover; it’ll get the job done without the added utility costs. Electronic And Appliance Mindfulness. Plug electronics and appliances into power strips. Using power strips that you can switch off and on is an easy way to ensure that your electronics and appliances are not wasting power when you are not using them. Simply double-check that your power strips are switched off before leaving the house and each night before bed. Creating this habit will help you reduce energy waste by targeting “standby power,” which draws power without giving you any benefits in return. From big ideas to small steps, it’s easy to make your energy use more efficient, especially as the weather begins to heat up. You can start by implementing just a few of these energy saving tips, or you can go big this summer and challenge yourself to save as much energy as possible. When you commit to conserving energy, your wallet will thank you, and you’ll feel good about doing your part to help protect the environment. Are there any energy saving tips you have found useful in your own home? Please feel free to share them with us in the comments below.